The Tunisian ud player Nada Mahmoudbelongs to a unique young generation of female ud players from the Arab world. 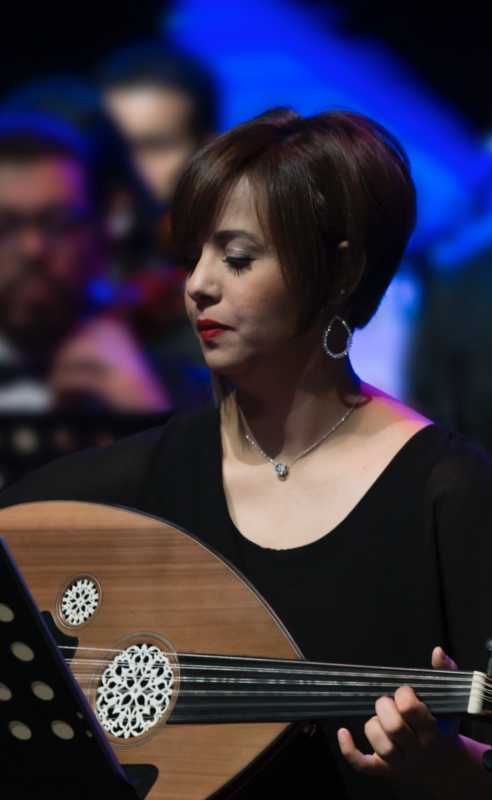 Her knowledge of the Ottoman influence on Arabic music, combined with the intensity of her performance make her a much-loved musician – especially when she plays one exquisitely delicate longa after another. Her playing has dynamism, and allows space for surprising improvisations. The make-up of her quartet (piano, bass guitar and percussion) adds a modern touch to the sound.